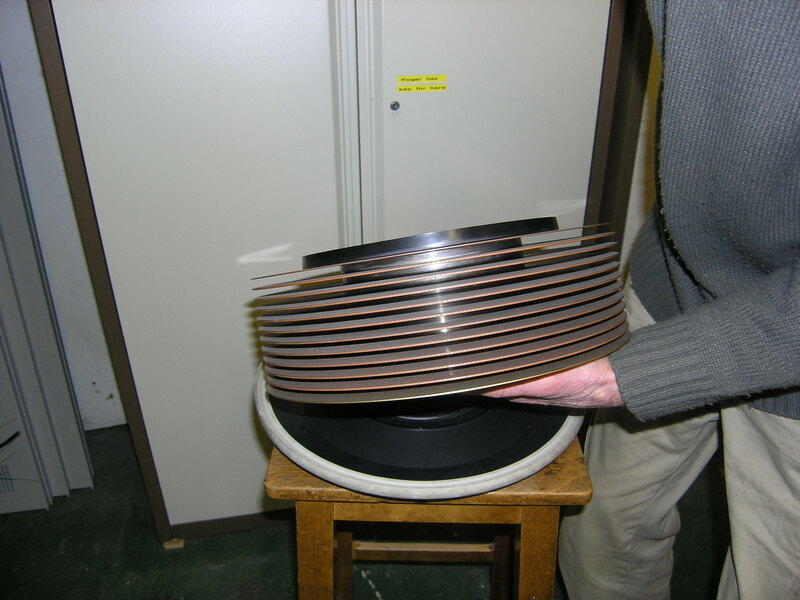 The bank of 3330-I disk drives was similar in size to the bank of 2314 disk drives. and provided almost three times the storage capacity (800MB). 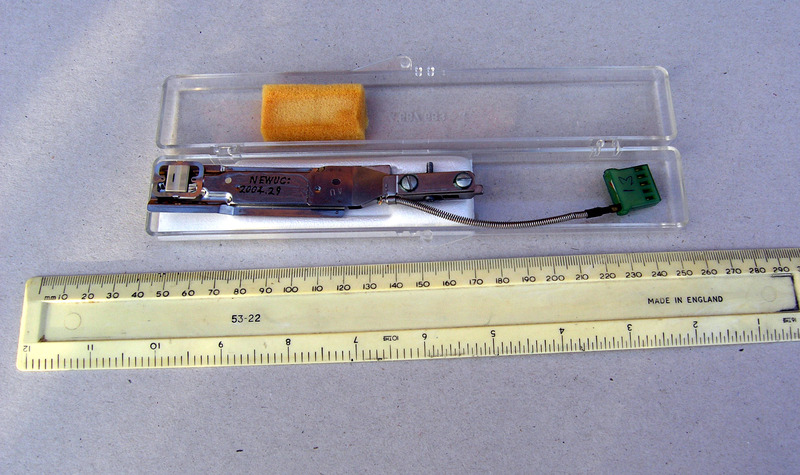 This is the read/write head assembly in its transportation container. In addition the track density was almost doubled from 100 to 192 Tracks/inch. 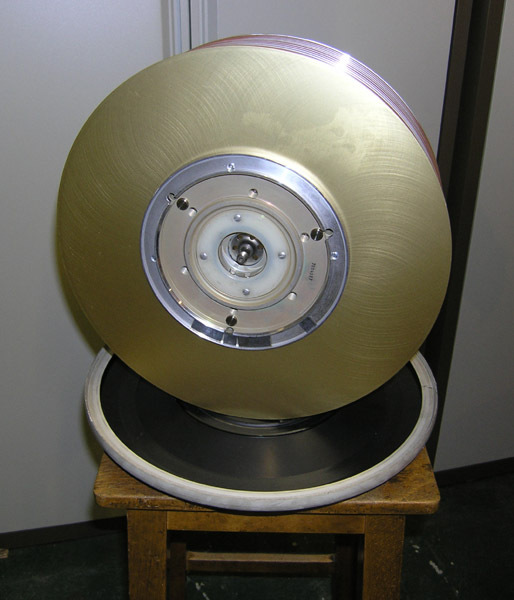 This is a top view of the disk pack. These disk packs were removable. 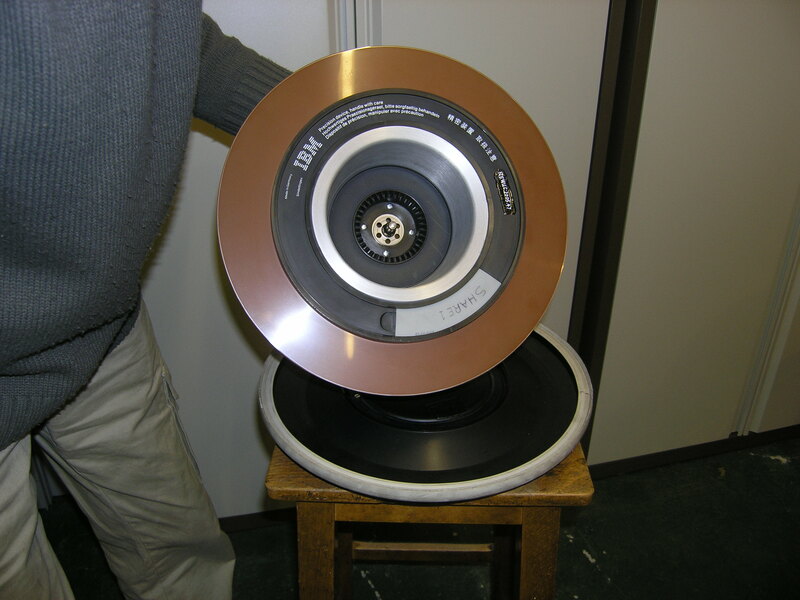 A disk pack could be mounted on any disk drive. but introduced a number of problems. 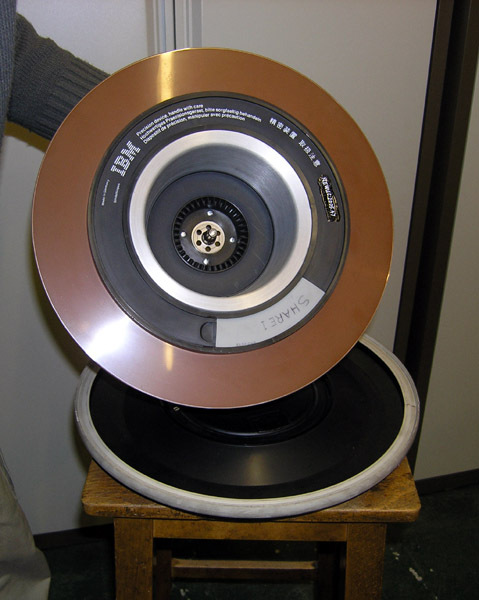 The movement of the disk pack from the drive to its storage place exposed it to dust, hair, fabric, etc. head and the disk surface causing a head crash. Bad news, all data on disk lost. 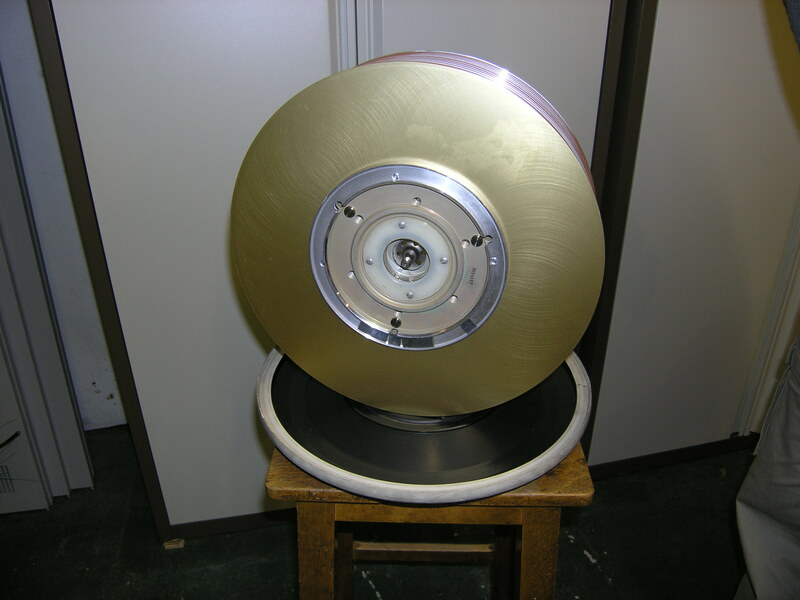 This is the disk out of its container. You never handled a disk volume like this. This is the bottom of the disk pack. for positioning of the head assembly. and the head assembly position had to be constantly adjusted to compensate. 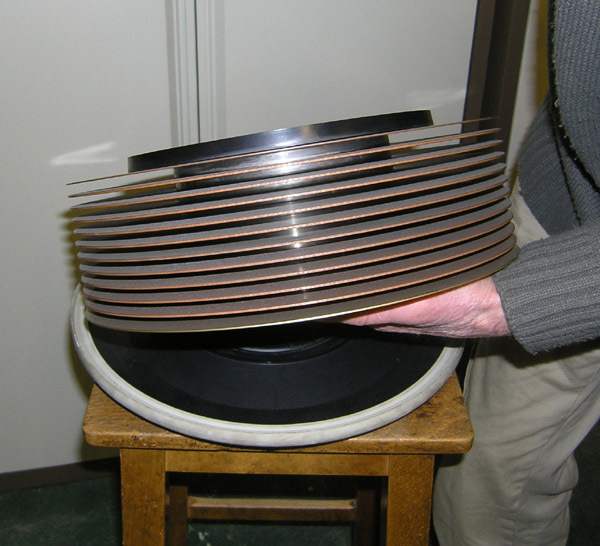 by altering a current in a voice coil in a strong magnetic field. 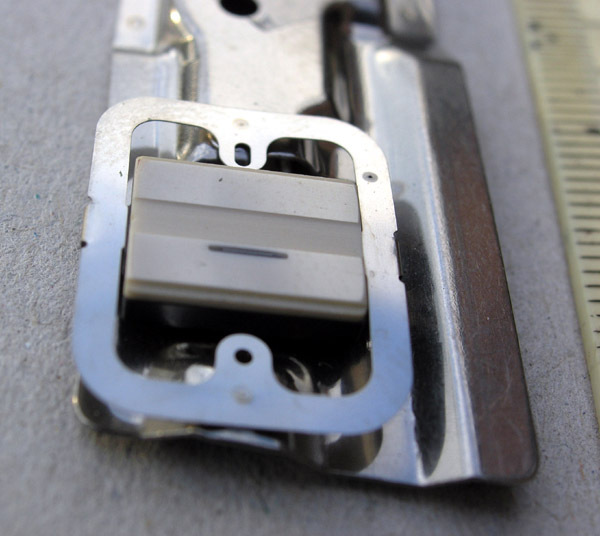 Almost all subsequent disk drives used the servo mechanism to position the head assemby. but used the data on the recording surfaces to position the head assembly.